244 cut out images of Alan, a black man wearing casual clothing. 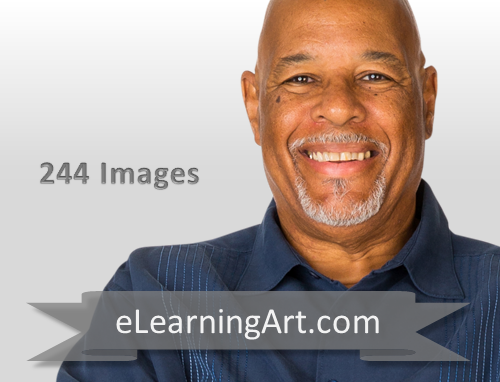 Dozens of poses photographed from multiple angles allow you to tell a visual story with Alan in your eLearning course or presentation. We’ve gone through the tedious task of removing all of the backgrounds for you so that you can drop Alan onto any background with other characters of your choice to create a custom scene. As a special bonus, the Alan set also includes a second outfit in casual clothes so that you can tell multi-day stories with this character.